Al-Qaeda freed 300 inmates from a local prison in Mukalla, Yemen today. Senior al-Qaida operative Khaled Baterfi was liberated in the attack. This was Barack Obama’s success story. Al-Qaida militants freed about 300 inmates from a local prison in Mukalla, including scores of militants, according to the security officials, who spoke on condition of anonymity because they were not authorized to talk to media. Among those freed from the prison was senior al-Qaida operative Khaled Baterfi who had been in detention since 2011. The militants fanned out across major roads leading into Mukalla, the provincial capital of Hadramawt, and sporadic fighting continued in the city itself. 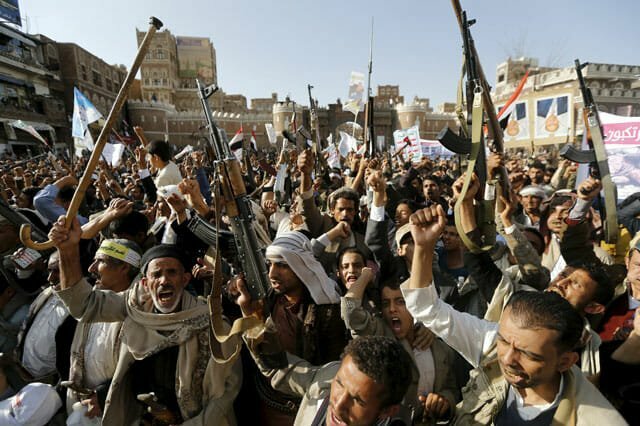 The province is still mostly in the hands of government forces loyal to the embattled Hadi. The Saudi-led air campaign has been targeting the Houthis and their allies, forces loyal to Hadi’s predecessor, ousted President Ali Abdullah Saleh. Over the past two days, the airstrikes have focused on Aden, bombing rebels and Saleh loyalists approaching the city from the east and north.